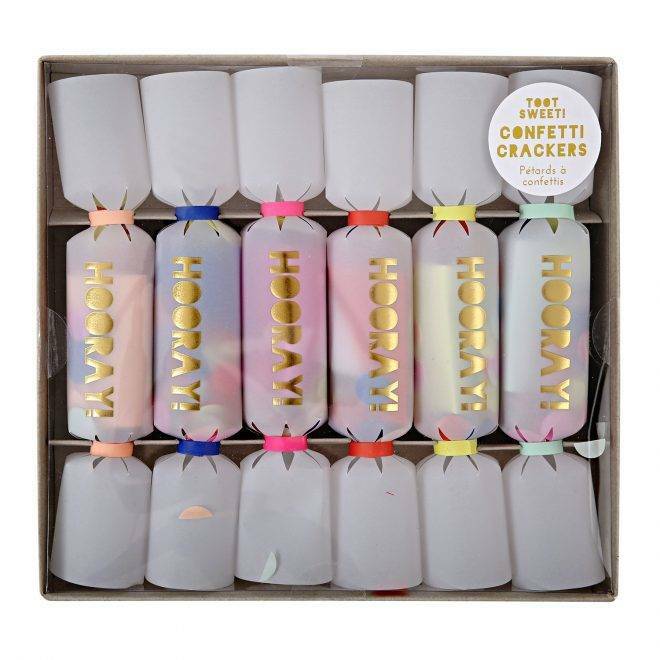 These delightful party crackers from Meri Meri are elegantly designed with shiny gold foil Hooray slogans and coloured ribbon ties. 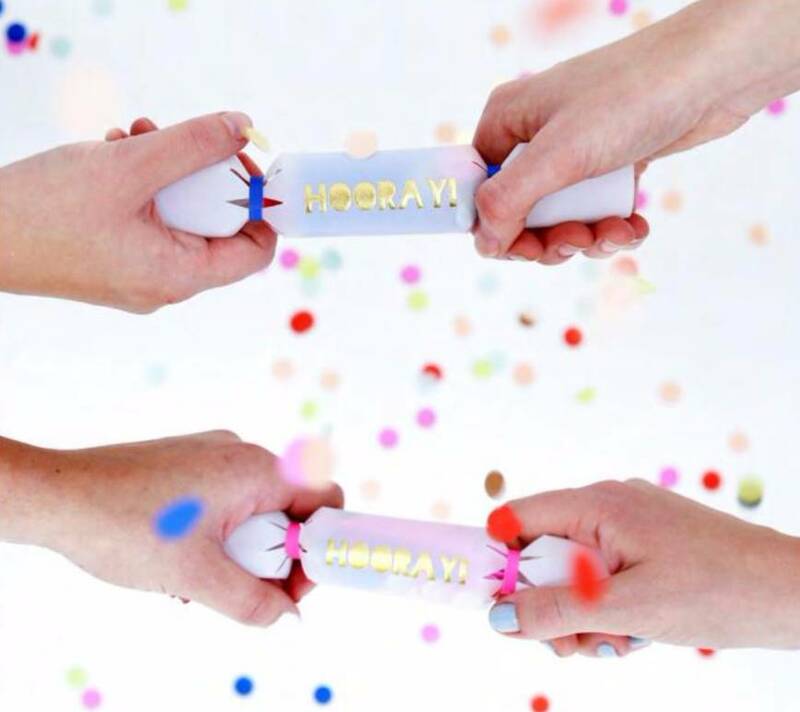 Each cracker is filled with paper confetti for a surprise effect on pulling. Pack contains: 6 crackers, each with confetti, joke, hat and temporary tattoo. Pack size: 20,5 x 19 x 4,5 cm.